The Toy Kingdom One-Day SALE happens on July 31, 2018 (Tuesday) in all mall stores nationwide! 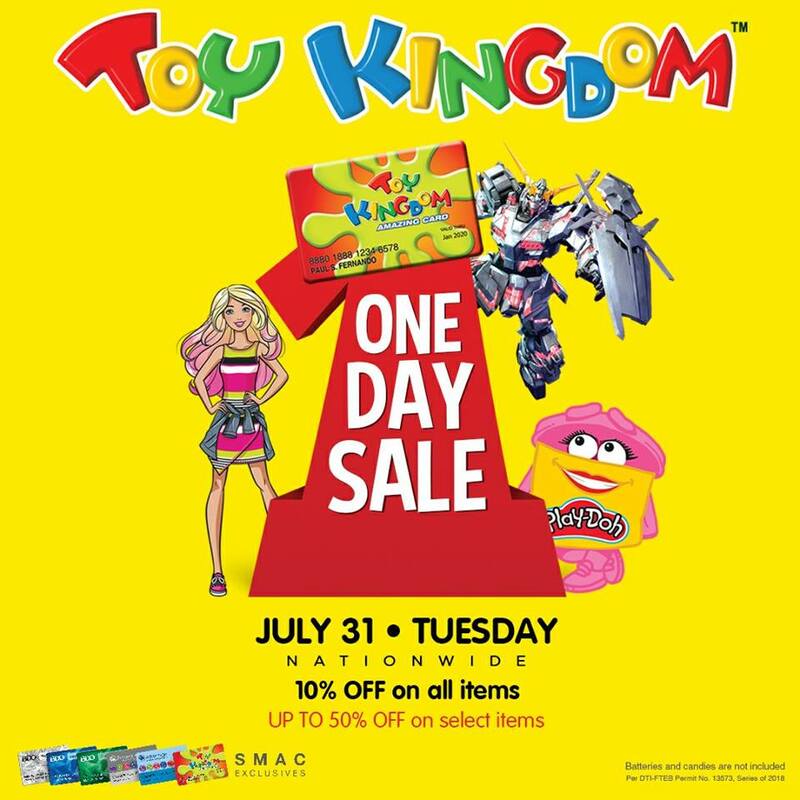 Get up to 50% off on select toy brands! Shop with your SM Advantage, SM Prestige, BDO Rewards, and Toy Kingdom Amazing Cards to get 10% off on all toys and up to 50% off on selected items. People who works there are some of the sweetest people I've met. Save yourself some time and just go to Los Angeles event venues here. Everyone there is sweet and ask how you've been, even though normally staff keep their heads down.